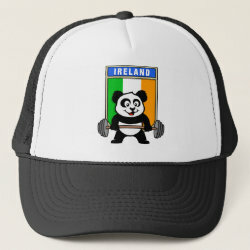 This cute bodybuilding panda loves weightlifting. 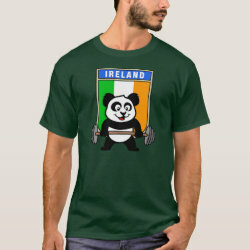 He stands in front of a large flag of Ireland. 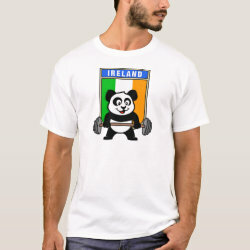 Look how easy he lifts that heavy barbell loaded with weight plates. 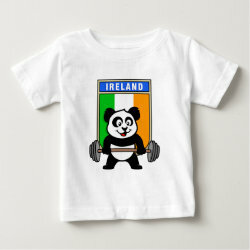 This design is too cute. 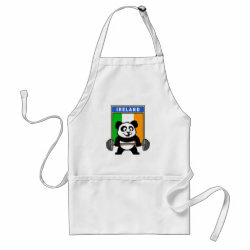 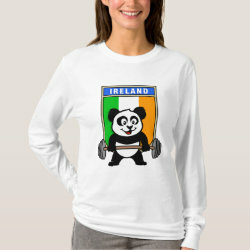 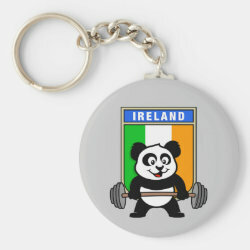 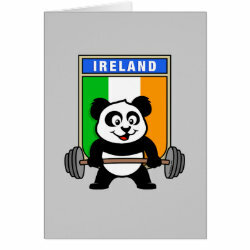 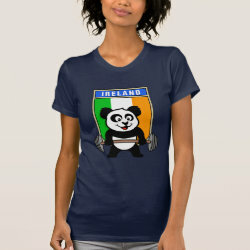 Great gifts here for anyone from Ireland who loves weightlifting.